Why? Most of the time when you need a car repair, you’re pinched. Your car failed at a bad time, you need to get to work or school, and you’re willing to just throw money at the problem so you can get back on the road as fast as possible. You grab a phone book or search Google and just call the first reasonable number that comes up. There are some times where you just can’t help this. I had a car failure on a long road trip and I was simply at the mercy of Google. I have painful memories of the overpriced towing and overpriced repair in that little town in Wisconsin. Quite often, though, car repairs spring upon you when you’re near your home, and when that happens, a little bit of legwork in advance can save you a ton of time and cash. There are DIY car repair tips, but the secret is to shop around in advance of a car problem. That way, when something does go wrong, you have a phone number or two already on your speed dial that you can call with confidence knowing that the prices will be fair and the work will be done well. So, how do you do that research? Here’s exactly how I whittled things down to my repairman of choice. First, I sent out a call to my local social network. I asked pretty much everyone that I knew who lived locally if they knew of any good car repair places in the area. People were glad to tell me what they knew. I got a wide variety of answers, but I kept hearing about four names come up time and time again as being places with good prices and really good service. Next, do your homework on the leading names. Use a mix of the internet and your phone to find out if they work on your type of car(s), if they offer towing services, and what their rates are on some common repairs. I asked about brake replacement and transmission replacement on my model, just to get a feel of what they offered. If you’re like me, you’ll find that these two steps get your list quickly whittled down to two or so entries. I put them both into my phone. Now, when I am in a pinch, I can just pull out my phone and call one of those numbers. If they can’t come quickly, I call the other number. I know that in either case, they can handle what ails my car, do it professionally, and not charge me a small mint for the service. 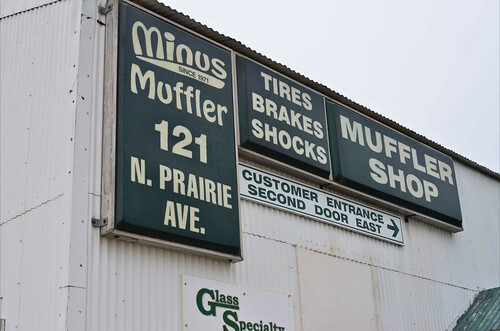 I’ve come to rely on one of these places as my primary stop for significant maintenance (belt replacement, brake pad replacement, and the like) because their prices on these services were stellar and their service great. Even better, when my friends ask for such a suggestion – and they have many times in the past few years – I have a couple great names and numbers that I trust that I can quickly give to them. Homework pays off. I don’t know how much money and how much worry and even how much time I’ve saved by doing this in advance, but it’s been worth it a hundred times over.